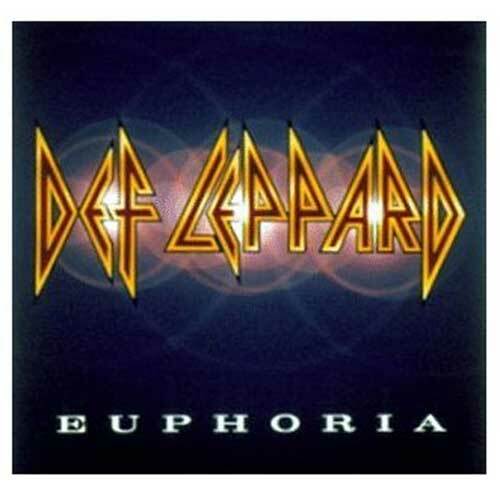 View Larger Euphoria CD Tongue firmly in cheek, Def Leppard vocalist Joe Elliott once referred to his band's wildly successful anthemic hard rock as "deep and meaningless." Indeed, while peers of the Sheffield punters were scrambling to embrace successive waves of punk, new wave, alternative, and post-whatever, the Leps stayed true to their arena-rock roots and became one of the most successful, if least hyped, bands of the 1980s and early '90s. Only their 1996 album Slang bowed to market trends; its disappointing showing only spurred a return to familiar form on Euphoria.